A total of 30 fire attacks has been registered over 24 hours. 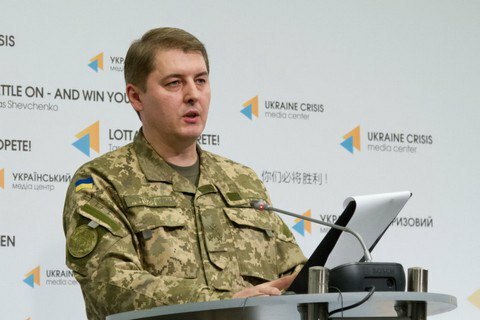 One Ukrainian serviceman has been killed and six have been wounded in Donbas over the past 24 hours, the Defence Ministry's spokesman for antiterrorist operation issues, Oleksandr Motuzyanyk, has said. In his words, the situation in Donbas has generally improved but it is too early to talk about a stable truce. Over the past 24 hours, the Russian occupying troops have launched 30 fire attacks on the positions of the Ukrainian troops in Donbas. Heavy guns were not used.